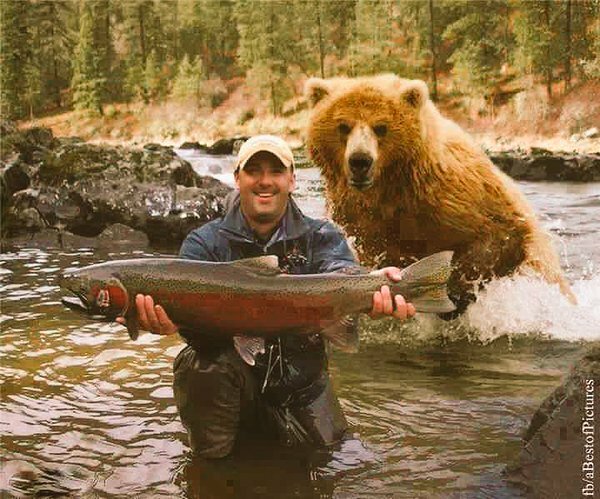 Watch Out For That Bear (Market)! Stock markets across Europe and the US have fallen as investors begin to fret about the chance of Britain exiting the EU. The fear has also started to weigh on the US markets with the S&P index falling for four days straight. In the UK on Tuesday, the FTSE index lost 2% and closed below the key psychological 6000 level. So, what has got the markets so jittery? Investors are starting to worry about brexit – the possibility of the UK leaving the EU – and markets are starting to price this fear in. There is also the ongoing worry about the global economy and the fear of interest rate rises by the US Fed. Throw in the outside chance that Donald Trump could be the next US president and you have two things the markets hate: fear and uncertainty. Ok, maybe The Donald is not driving the fall in the markets, but its scary none the less! The risk of Brexit has started to move some markets, so which markets are traders looking at to participate in these moves? Right now traders are in ‘risk off mode’. Lets take a look at the technicals – and they don’t look pretty. The GBPUSD has firmly broken through two trend lines and if 1.4050 breaks, we may expect the shorts to push this to the February lows. For now, the 1.4050 may give some support and stem the short flows; if this level breaks with any force, retests from below may see the shorts reload on this pair to drive it to 1.38. 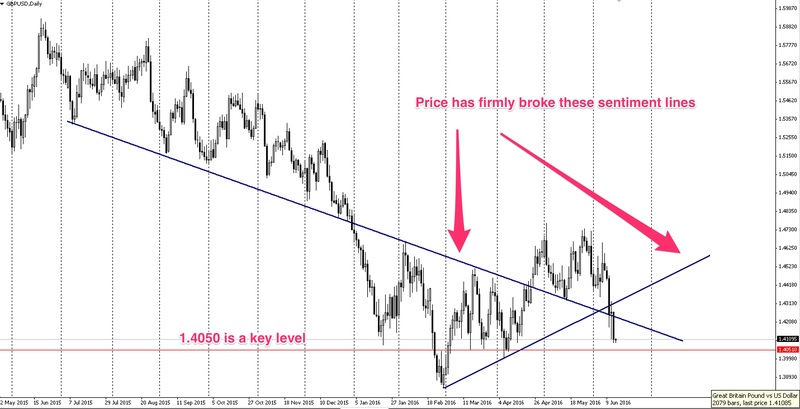 The EURUSD has been hit by the fear of brexit and the asset purchasing by the ECB. 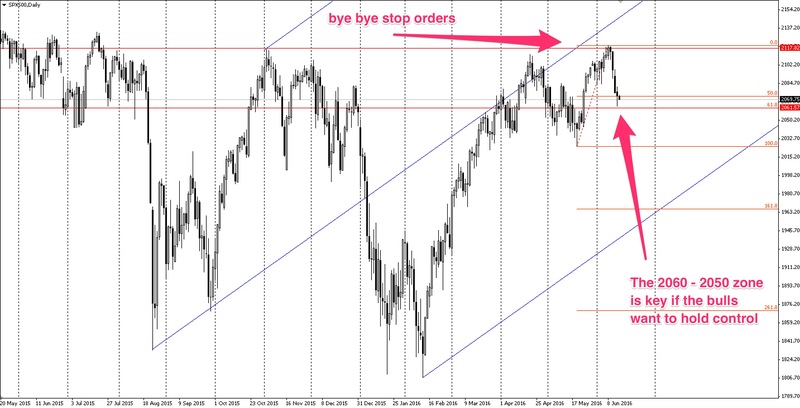 The technicals show this pair in a weak bullish channel but more downside looks likely. 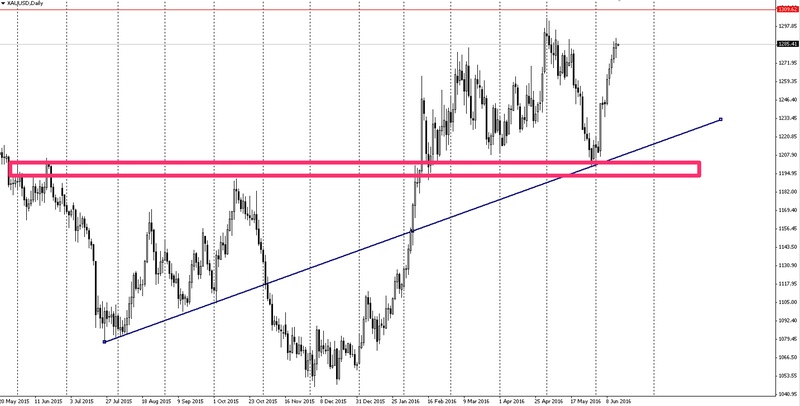 The EURUSD is supported by a trend line for now..
Gold has spent the last three weeks climbing the page as buyers bought the shiny metal amidst the market turmoil elsewhere. 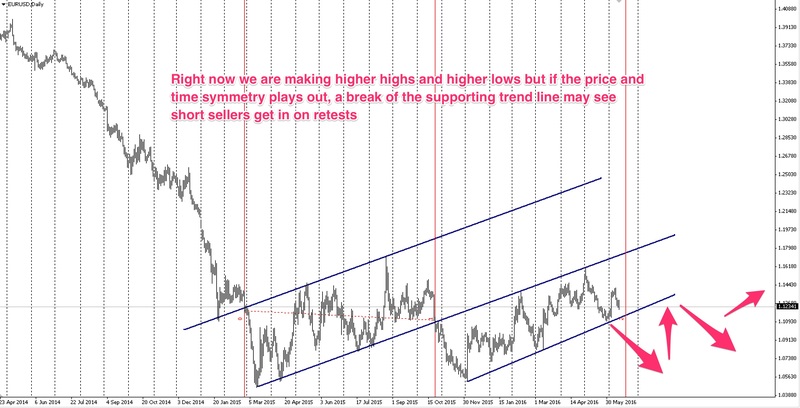 The chart below demonstrates the strong buying pressure on Gold and the supporting bullish technicals. There is strong resistance ahead though at 1310. 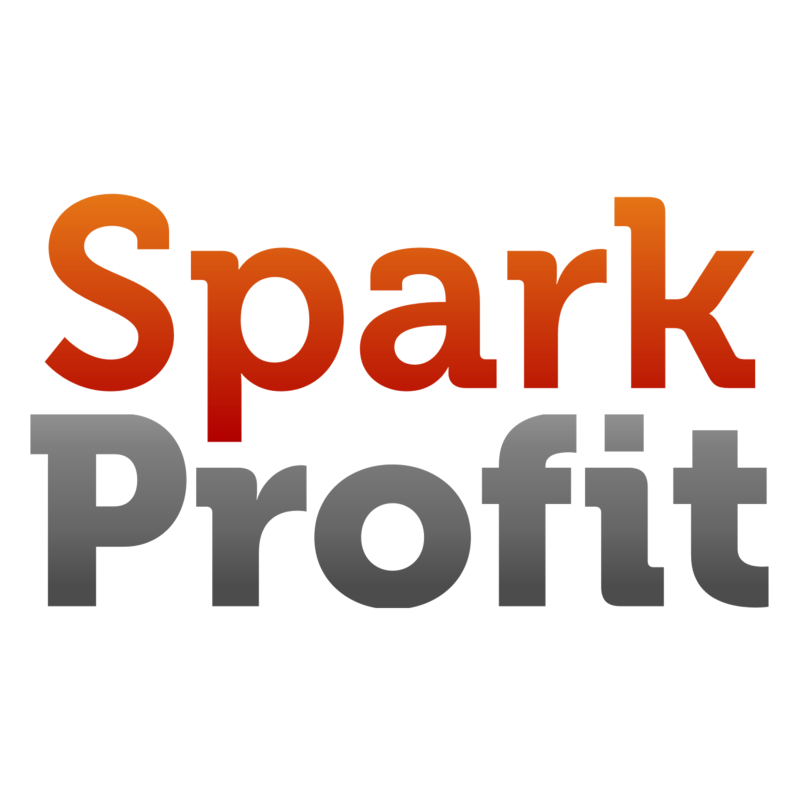 Which ever way you think these markets are going to go, you can play these and other markets risk free with SparkProfit.